The purpose of this page is to showcase the accomplishments of National Music Festival alumni. Browse the updates below to see what our talented alumni are doing! Pauline is wrapping up her senior year at Wright State University where she will graduate with a BM in violin performance. Highlights of this spring semester have been performing in a NASM student showcase recital, playing the Nocturne from the Carmen orchestral suite as concertmaster of the WSU University Symphony, presenting a senior recital, performing at WSU's Arts Gala as a member of the Ardente Quartet, and training to become certified as a scuba diver! Zach Bridges joined The United States Army Band “Pershing’s Own,” Ceremonial Band in August, 2016. His primary duties in the Ceremonial Band include supporting funerals at Arlington National Cemetery as well as wreath laying ceremonies by heads of state and other foreign dignitaries at the Tomb of the Unknown Soldier, monthly retirement parades, special reviews, and arrival and departure honors for foreign dignitaries at the White House and Pentagon. Prior to joining Army Band, Zach performed with the Houston Ballet, East Texas Symphony and the Waco Symphony, as well as the festival orchestras of Lake George, Brevard Music Center, National Music Festival, Texas Music Festival, and the Sewanee Music Festival. I am currently pursuing my master's degree in Classical Flute Performance at the Manhattan School of Music under the tutelage of Linda Chesis. I am enjoying a portfolio career including a variety of teaching and performing opportunities in New York City, and I have most recently won the Manhattan School of Music Eisenberg-Fried Concerto Competition with Trail of Tears by Michael Daugherty. I am looking forward to performing this concerto with the Manhattan School of Music Chamber Sinfonia next spring! I am currently finishing my bachelors in string music education with a certificate in violin performance. This past year I directed an orchestral music camp for 3rd-9th graders here in Iowa. I have also been busy working with my quartet, playing pit for Opera and performing as concert master of the Iowa state symphony. I was also the winner of an area concerto competition so I will be looking forward to performing the Bruch Violin Concerto with an orchestra in April. I am currently a first-year DMA student in Flute Performance at the University of North Texas, where I perform with the UNT Symphony Orchestra. Most recently, I was awarded first prize in the Golden Classical Music Awards International Competition, which allowed me to perform at Carnegie Hall this past November. As I just moved to the Dallas-Fort Worth area, I hope to build a private studio and seek out new opportunities. Thank you NMF for a great two years! Currently I am a sophomore undergrad at the University of Kansas School of Music. I am studying under Hannah Collins working towards my BM in cello performance. Following NMF, I freelanced in the Des Moins, IA area and played for a few weddings. This year I had the opportunity to work with Joann Whang, cellist from the quartet in residence at Juilliard, and performed a tango with her in a cello trio. This semester I have performed in a piano trio, cello ensembles, piano sonatas, and with the KU symphony orchestra as first stand. I had such a great experience in Chestertown and I am hoping to make my way back to NMF soon! I currently work as a freelance trumpeter in the Washington, DC metropolitan area, performing in a variety of musical settings and styles. This year, I have played with the Roanoke Symphony, Symphony of the Potomac, National Christian Choir, and La Nueva Imagen (a merengue cover band). Upcoming performances include several musicals, church concerts, and Mozart's "Magic Flute" with the Williamsburg Opera. I will also be recording my second studio album with the Peacherine Ragtime Society Orchestra, a group with which I regularly tour. In addition to performing, I maintain a private teaching studio of about 15 students. Thank you NMF for 3 awesome years! Juan is currently completing his first year as a doctoral candidate at the Eastman School of Music in Rochester, NY, where he is serving as the Teaching Assistant for the tuba studio and Tuba Mirum ensemble. Additionally, he is a substitute tubist with the Syracuse Symphony Orchestra and performs regularly with the internationally-renowned Eastman Wind Ensemble, in which he has recently participated in a recording project of the music of David Liptak. Juan plans to continue expanding his teaching in the Rochester area, seek further performance opportunities, and return to NMF to work with passionate colleagues and mentors who seek to use their musical talents for enriching the world. I am teaching part-time at Peachtree Charter Middle School as a Woodwind Consultant in addition to teaching privately. I have taken three auditions since leaving the festival. From those auditions, I received a trial week with the Lexington Philharmonic which will occur in March. I hope to continue taking auditions and expanding my studio in the coming months. I won the First Prize at the International Music Competition for Best Liszt Performance this past fall. I am currently working towards my DMA degree at the Moores School of Music at University of Houston. I am planning to go to Italy this summer for the Inter Harmony Festival. Other than my solo playing, I am looking for more performing opportunities for my trio, "Irida Piano Trio." I also teach around Houston area. I am a Senior at St Olaf College. After attending NMF in the summer of 2018 I attended the Miami Music Festival. This year I will be performing Peskin’s “Trumpet Concerto in C Minor” with the St Olaf Orchestra on our East Coast tour in February and again this summer in Norway. After graduation I plan on attending graduate school and auditioning for positions in a military band. I am currently student teaching general music and high school orchestra on Long Island as the culminating part of my degree. In May, I will be graduating with a BM in Music Education and Violin Performance from the Crane School of Music at SUNY Potsdam. Shannon is currently a sophomore at Temple University, majoring in violin performance. She frequently gigs with her quartet, Fourte, in Philadelphia. Aside from classical violin, Shannon also takes jazz violin lessons with a member from Snarky Puppy, and hopes to incorporate what she learns in jazz to assist her with classical violin, and vice versa. Bridget is currently completing her Senior year at the University of South Carolina in Columbia, South Carolina. She will be graduating in May and will receive her degree in Instrumental Music Education with a Bassoon Performance Certificate. In the Fall, Bridget completed her semester of student teaching at a local middle school and high school in Columbia. After graduation in May, Bridget intends to pursue her Masters of Music in Bassoon Performance and will spend the Spring auditioning at several prominent music schools throughout the country. Bridget greatly enjoyed her time in Chestertown at the National Music Festival and hopes to return in 2019. I'm excited to perform again at Carnegie Hall in January 2019, this time with the Oberlin Orchestra. I will complete my sophomore year at Oberlin Conservatory in May, now with a new viola! Nolan is currently completing his senior year of undergraduate study at Ohio University in Athens, Ohio. He will be obtaining his BA Music degree through the Honors Tutorial College with an emphasis in Trombone Performance and Composition. After this year, Nolan plans to pursue his Masters of Music in Trombone Performance. This year Nolan has begun work on his Senior Thesis project. He is composing a 'Soundwalk' for Athens, Ohio. Using only sounds recorded in the city, Nolan will compose an hour-long piece of electronic soundscape music meant to be consumed through headphones while on a walking route in Athens. The project is scheduled for completion in May 2018. Nolan also started a trombone quartet in Athens, Ohio called the Bob(quatre) Bones [pronounced: "Bobcat"]. The group just recently completed a nine-performance tour to high schools from all over Ohio. The group had the pleasure of leading a masterclass, and performing a mixed program for hundreds of students over four days. The group is now preparing to present a recital this Spring at Ohio Universtiy. Nolan will be continuing to audition for festivals over the summer of 2019. He plans to return to the National Music Festival to continue his training, and to share music with Chestertown. Newly-appointed Response Manager for the borough of Manhattan in New York City, responsible for local and national disaster-related preparedness, response, and recovery programs. Voluntarily deployed this year to Puerto Rico, Virginia, and North Carolina working within the Disability Integration function of the Red Cross. Still playing some fantastic music in and around NYC (though not enough!). Became a US citizen in Aug ‘18 and was immediately afterward invited to join the Peace Corps, so am considering a possible long sojourn into the heart of (western) Africa sometime soon. Right now, I am studying viola with Charles Gray at St. Olaf College, and pursuing a degree in music performance. Additionally, I am a member of the St. Olaf Orchestra, and will be going on tour with them to Norway in the summer of 2019. Beyond that I am anticipating continuing my studies in music after graduation. Performing the Vivaldi Double Cello Concerto in G Minor in Vidin, Bulgaria as a soloist! I am currently still attending Belmont University. I hope to be applying to and attending graduate school for violin performance after my senior year at Belmont, so my efforts now are directed towards preparing for those auditions.
" Presentation: "Audition Preparation Workshop"
I'm a junior at UMBC in Baltimore, Maryland pursuing a B.A. in violin performance, where I regularly perform with the UMBC Symphony Orchestra, Collegium Early Music Ensemble, and UMBC Chamber Players, in addition to freelancing and teaching elementary violin and viola classes in Baltimore city through the Bridges Music Program. However, for the Spring 2018 semester, I'm currently studying abroad at University College Cork in Ireland, and expanding my classical violin repertoire by studying Irish traditional fiddle! 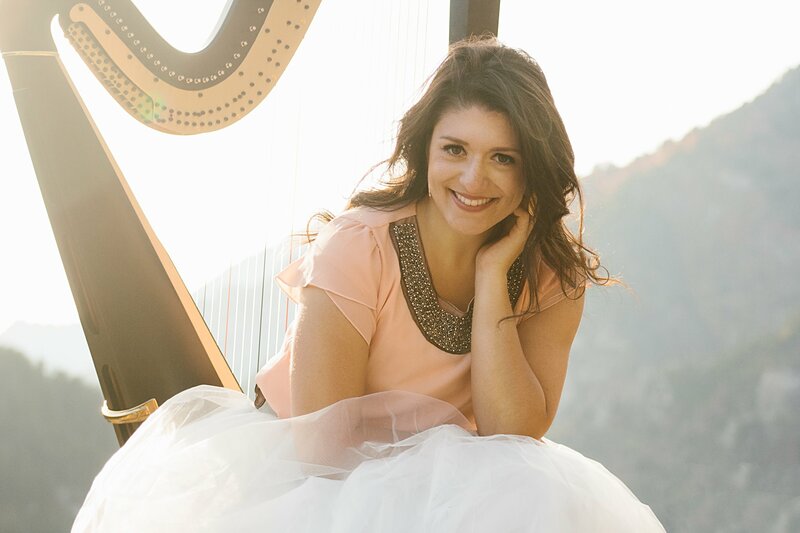 Sarah Cornett graduated from the University of Michigan in April of 2017 with both a Bachelors of Music in Viola Performance and a K-12 Music Teacher Certification. She now attends Texas Tech University where she is pursuing her Masters of Music in Viola Performance studying under the direction of Dr. Kimberly Sparr. Sarah is the principal violist of the Texas Tech University Symphony Orchestra and a member of the Graduate String Quartet. Ms. Cornett also performs with the Lubbock Symphony Orchestra as a section violist and teaches sectionals and lessons at local West Texas schools. Allie is currently pursuing a Master's of Music in violin performance with a graduate teaching assistantship at Texas Christian University. She received her Bachelor's of Music in violin performance with a concentration in music history and literature from Vanderbilt University's Blair School of Music, and graduated with honors from Booker T. Washington High School for the Performing and Visual Arts. At TCU, Allie serves as a front of house manager for events at the school of music, and is an active member of the New Music Ensemble and the TCU Symphony Orchestra, of which she has served as both Concertmaster and Principal. While at Vanderbilt, Allie was the orchestra librarian of the Vanderbilt Symphony Orchestra for two and a half years, and was an elected member of the Blair Student Council for all four years. In the Vanderbilt Symphony Orchestra, attaining positions of both Concertmaster and Principal. A member of the Soltis String Quartet, Allie toured, performed, and studied with members of the Berlin Philharmonic in Aix-en-Provence, France as part of the Vanderbilt Musique Academie. The Soltis String Quartet also recorded "String Quartet No.1," by BMI composer and producer, Jack Stamp, on his recently released album, "And the Time Is," produced by Klavier Records and distributed by Naxos. Allie performed numerous solo and quartet recitals while at Vanderbilt. During the summer months, Allie enjoys playing with the Northeast Texas Symphony. Additionally, for four summers, Allie interned in the orchestra library of the Dallas Symphony Orchestra, as well as in the executive office of the Dallas Symphony Orchestra's SOLUNA Festival. Allie has attended many summer music festivals and camps, including the Eastern Music Festival and the National Music Festival, the latter of which she just returned to for a third time this past summer and recorded Richard Rosenberg's edition of Arnold Schoenberg's "Verklärte Nacht" to be distributed by Naxos. On the side, Allie continues to perform around the Dallas/Fort Worth area, and is currently a violinist at Christ Chapel Bible Church. Allie's primary violin teachers have included Elisabeth Adkins, Cornelia Heard, Daphne Volle, and Mary Alice Rich Wittrig. I am currently a master's student at Bowling Green State University and will graduate in May 2018. I am a Teaching Assistant in flute and a member of the BGSU Philharmonia. I recently auditioned for DMA programs and plan to pursue a degree in the fall. I will graduate in May with my masters degree in Piano Performance from Indiana University's Jacobs School of Music! Performances this semester will consist of 7 instrumental and vocal recitals and my own solo piano recital. After graduation, I will be preparing and applying to doctoral programs, traveling to auditions, and teaching privately in Bloomington with other trips throughout the 2018-2019 academic year to perform and give masterclasses at colleges and private studios. Victoria is currently finishing her third year as a music performance major at Belmont University in Nashville, Tennessee. During her time there she has performed with the Belmont Symphony Orchestra, the New Music Ensemble, and various string quartets. She has recently performed as a soloist in the Belmont Strings chamber group for the nationally televised production, Christmas at Belmont. She is looking forward to performing the Brahms' Requiem with Belmont's Oratorio Choir this Spring. After completing her degree at Belmont, Victoria plans to pursue graduate studies in violin performance and pedagogy. Creed is a senior at Florida State University, and will be graduating in May with a Bachelor's of Music in Cello Performance. He currently is a member of the University Symphony Orchestra, and regularly performs with the Tallahassee Symphony Orchestra. This April, Creed will serve as the principal cellist in the pit orchestra for the Florida State Opera's production of "Alcina" by G.F. Handel. I am currently in my junior year of getting my degree in Viola Performance at Texas Tech University. Also, I have taken contracted positions with the local symphonies in the area. I am currently finishing my Master's degree at Stony Brook University and will be graduating in May 2018. I am working on getting a Master's in violin pedagogy from the University of South Carolina. During my time here I am working as a graduate assistant for the school, teaching violin, and playing for a couple regional symphonies. I will be finishing my Master's degree in Suzuki Pedagogy and Viola Performance from Ithaca College in May 2018. This year, I was principal viola in the pit orchestra for IC's production of Massenet's Cendrillon, and am excited to perform Holst's The Planets in April with the IC Symphony Orchestra, Carmen with Opera Ithaca (a local organization), and also my own graduate performance recital! I will be graduating with my Suzuki registration for violin units 1-8 and look forward to moving back home, where I will begin to build a studio of violin and viola students. Immediately after NMF, I attended Eastern Music Festival. Earlier this month, I attended the Southeast Horn Workshop and won both the Horn Quartet and Orchestral Low Horn competitions. As a result, I was given the opportunity to play in a masterclass with Richard Deane, acting principal of the New York Philharmonic. Currently, I am preparing for my first solo recital on April 22nd. I am currently pursuing my degree in viola performance and music education at the University of Iowa while training to get my book 3 Suzuki certification under Bill Preucil Sr. I am also researching with the University of Iowa String Quartet and Residency program director Elizabeth Oakes to research diversity in the world of classical music and am working to make the University of Iowa School of Music a place for all people to enjoy and study music. I have also taken on the role of Ambassador for the nonprofit ‘The String Bank,’ which sends donated used strings to programs all over the world that cannot afford to buy them. I am incredibly proud of my work in this organization and I'm looking forward to being a cooperating liaison for them. I am halfway through my Junior year at the Baltimore School for the Arts. We are about to host our Expressions Gala, in which I will be performing in three shows. Also, I am beginning to studying composition and have been working in a Film Scoring class with film composer Dontae Winslow. I am hoping and excited to return to NMF this summer to play in this amazing festival again! I am currently playing in a piano quintet as part of Lincoln Center Stage on Holland America’s ms Koningsdam! I am currently pursuing a DMA in oboe at the University of Georgia. My woodwind quintet, the Southern Wind Quintet, is preparing for an entry in the Fischoff Chamber Music Competition. I am in my last semester as a music performance major at Belmont University in Nashville, TN. Through my education at Belmont, I have played in the university orchestra, string quartets, and the world fiddle ensemble. In addition to my music studies, I had my first teaching experience as a volunteer chamber music coach for the Music City Youth Orchestra. After I graduate in May, I intend to start my master's degree in music performance in the fall. I'm currently working as a freelance audio engineer in Chicago and looking forward to what next summer will bring. I am currently living in the Houston area teaching and performing. I recently had an opportunity to play with the Galveston Symphony Orchestra. I am currently Director of Orchestras and String Activities at Bethel University in the Minneapolis area. I am working on my undergraduate degree at Baldwin Wallace University. Currently auditioning for Masters of Music programs. Recently accepted into the Jacobs School of Music. Also organizing and going on a contemporary chamber music tour with my chamber group (The Purchase Contemporary Chamber Players), which will travel all over New York the week of March 26th playing works by Mellits, Akiho, Sejourne, Messiaen and more. This spring I will finish my M.Mus. at McGill University in harp performance. My current musical energies are focused on a concerto that I've written for harp and small ensemble that I will be performing on my final recital. Next year I plan to pursue further education in composition and/or music theory pedagogy. I loved my time in Chestertown, and I hope to be back at National Music Festival soon! Rachel is currently residing in Indianapolis and pursuing her masters degree in piano performance at Butler University. She was awarded the collaborative piano assistantship and works as a staff accompanist at the university. Most recently she was hired by the Indianapolis Suzuki Academy to teach private and group piano lessons and plans to gain more training this summer. She feels very privileged to have gone to NMF where she made many wonderful friends. I’m currently pursuing my masters degree in composition at The Juilliard School in NYC. I am currently working as an assistant to the University of Alabama Community Music School. I oversee the registration of children and adults into our Kindermusik, Chamber Music, Youth Orchestra, Adult Strings, and Adult Brass programs, in addition to private lessons. I also teach privately and occasionally play for the Tuscaloosa and North Mississippi Symphony Orchestras. I graduated with a bachelor's degree in Music Education in December and I am using this time to prepare for graduate school auditions where I intend to pursue a master's degree in violin performance. I am currently working for the Music School of Delaware in the Registration Department, also teaching private lessons and giving viola sectionals to their youth orchestra. 2018 is a big year for me as I will be getting married at the end of May. I am also in the process of moving to a new apartment with my fiancee. I am currently in my sophomore year at Baylor University. I am working on improving at viola and also getting into conducting. I was accepted into the Norddeutsche Orchesterakademie, so while I loved NMF and will continue to consider it in the future, this year, I will take this opportunity to travel abroad. I graduated from the University of Maryland with my B.M. in trumpet, and am currently staying busy as an active freelance trumpet player and teacher in the Washington, D.C. metropolitan area. Performing in many different groups, the one I currently play with the most is the Peacherine Ragtime Society Orchestra. Peacherine performs concerts featuring silent movie musical accompaniment, and has been on several short national tours. Another recent performance was giving a benefit recital in Chestertown (January 2018) at Emmanual Church with trumpet mentor Paul Neebe in order to raise money for the church's NMF lunch program. I hope to return to NMF once again! Kristen is currently living in Queens where she is pursuing her masters in clarinet performance. She actively freelances and teaches private lessons in both woodwind and voice. I was hired on part-time with the North MS Symphony Orchestra and have been substituting for the Tuscaloosa Symphony Orchestra. I am teaching lessons and have been collaborating/writing with a few friends. I have been featured as a solo cellist on three pop albums within the last two months. I am attending Northwestern University for my first year of my Master's Degree. I am also playing with OrchestraNEXT for the Eugene Ballet Company in Oregon. I am currently half way through my senior year at SUNY Fredonia. I am pursuing my bachelor's degree in Music Education and Violin Performance. I have been staying involved in Fredonia's College Symphony Orchestra, Chamber Orchestra, Carousel Jazz strings, the Orchard Park Symphony, the Southern Tier Symphony, as well as playing with my string quartet, The Sirens. I hope to continue following my dream of teaching and begin teaching in the public school system next year. I can't wait to return to NMF next summer for another two weeks of incredible people and amazing music!! I am currently halfway through my sophomore year studying with Dr. David Colwell at SUNY Fredonia, pursuing a BM in Violin Performance. In October I played in a master class with Dennis Kim, concertmaster of the Buffalo Philharmonic Orchestra. I am currently a senior at Fredonia State University of New York studying with NMF mentor Maureen Yuen. As both a Performance and Music Education major, I will be performing the first of two curricular recitals in the coming month! In addition, I was elected as President of Fredonia's Collegiate Chapter of the American String Teachers Association (ASTA). I am currently working with our new String Education specialist Dr. Richard Webb to organize a Fredonia presence at this years ASTA Conference, highlighting student composition/arrangements. Earlier this year I also had the privilege to play in a master class with David Kim, the concertmaster of the Philadelphia Orchestra. It's been another wonderful year, and I look forward to the opportunity to spend another summer making music and life-long friends in beautiful Chestertown! Following NMF 2016, I have continued my work as music director and principal conductor of the Cincinnati Chamber Opera (fourth season) and began a new position as music director of the University of Cincinnati Symphony Orchestra. Highlights from Fall 2016 include a successful Mainstage performance of Massenet's Cendrillon at the College-Conservatory of Music (CCM), University of Cincinnati and a concert of works by Dvořák and Liszt with the University of Cincinnati Symphony Orchestra. I have recently completed my third semester of Doctorate studies in orchestral conducting at CCM. My upcoming appearances will be with the Cincinnati Chamber Opera, the CCM Philharmonia and University of Cincinnati Symphony Orchestra. Thank you, Richard, Caitlin, Michael and all of the staff, faculty and students for a wonderful whirlwind of beautiful music-making in Chestertown last summer. I hope to see and hear you all again soon. I am currently in my second and final year of my Master's Degree at the Yale School of Music. I work closely with teachers in the New Haven Public School System to help provide one on one lessons and group coachings with students through Yale's Music in Schools Initiative. In addition to National Music Festival, I spent my Summer working in New Haven for the Morse Summer Academy for middle and high school students to study their instruments during the summer. I had a great time in Chestertown again this year, playing some fantastic repertoire, and staying with my amazing host parents Bob Atwater and Marcy Brown! I am currently on my third year studying at Stanislaw Moniuszko Academy of Music in Gdansk. I am preparing for my bachelor recital in this coming spring. Attending to National Music Festival was a great experience for me and I hope to be back here someday. I am currently in my second year of my undergraduate at Texas Tech University pursing a Bachelors of Arts in Music degree along with minor in business. Using some of the skills I learned at NMF, I started working in the publicity office for the School of Music. This semester I have also had the privilege to perform in our Symphony Orchestra in a special concert with Mark Wood. Next semester I am looking forward to playing with TTU Tango Orchestra at the Texas Music Educators Association convention in San Antonio, Texas. Over the summer I completed master's degrees from Bowling Green State University. I am currently gigging in Michigan and Ohio, and will be auditioning for performance diploma programs in January and February. I am currently a sophomore at the University of Michigan School of Music, Theatre, and Dance working towards a Bachelor of Music in French Horn Performance with Adam Unsworth. This Summer, after attending NMF, I spent seven weeks at the Chautauqua Institution in New York playing with the Music School Festival Orchestra. I then returned to school at U of M where, this year, I perform in Symphony Band and in the University Philharmonia Orchestra. I am also almost done working on my professional website (http://www.rebeccaepsteinboley.com), which should be up and running any day now. As winter sets in here in Michigan, I fondly remember warm summer days in Chestertown and look forward to next time at NMF! I am currently working for Stringendo. Stringendo is a nonprofit organization based in the Hudson Valley that helps nuture young string players from beginners all the way to graduating high school! Stringendo has 7 orchestras and has a fiddle division called The Strawberry Hill Fiddlers in which we have 5 fiddle groups. I help out in 4 of the 7 orchestras and I am the fiddle teacher of the Mulberry fiddle group. Being a part of such an organization also allows me to teach privately. I have a private studio of both violins and violas and it is constantly growing. While trying to remain active in my personal playing, I've had the opportunity to become an active member of the Woodstock Chamber Orchestra and the Northern Dutchess Symphony Orchestra! I had such an amazing time during my first NMF experience and am looking forward to returning! I am enrolled in my Senior Last Semester at UMBC working on my BA in Music Technology and Jazz Bass Performance. I was awarded a Graduate Assistantship to study Cello Performance at Ithaca College. I also frequently perform two cello shows with my friend Joshua Epstein at bars and restaurants on Long Island. As an arranger of music for four cellos, I finished my arrangement of Beethoven's Piano Sonata No. 15 in D Major. I am currently working in the William Floyd School District as one of their 4th grade orchestra teachers. I have also been teaching at Grace Music School, The Long Island Violin Shop, and the Manhasset School of Music. I am looking forward to what this next year will hold for my performance and teaching opportunities. I am in my third year of undergraduate study at Arizona State University with Dr. John Ericson. I am double majoring in music performance and chemical engineering. I play in a local wind quintet, The Monsoon Winds. Currently pursuing a DMA at Arizona State University, teaching privately and as a clarinet studio teaching assistant, and working in administration at the ASU School of Music. I am currently teaching in the Baltimore County Public Schools. I have a .7 position, so I work three and a half days a week. I teach 4th and 5th grade band, orchestra, and 4th Grade Exploratory. The other school I work at I teach private and group instrumental lessons to special education students. The instruments I teach at this school are: guitar, recorder, percussion, and piano. I also have a private studio of violin and cello students that I teach on the weekends. Unfortunately, the school year ends in the middle of June so I will be unable to return to NMF this year. I will miss you all and wish you a happy festival! I will graduate from SUNY Fredonia in December 2016 with degrees in Music Performance and Music Education and start a full time teaching job directly after graduating. I will be teaching elementary strings in Rockland County, NY! I am currently in my junior year at Baldwin Wallace Conservatory working on a B.M. in Trumpet Performance. I study with Jack Sutte, second trumpet with the Cleveland Orchestra. Following my summer at the National Music Festival, I auditioned for a sub-list position with the Firelands Symphony and was fortunate enough to be selected as their substitute trumpet player. I have many fond memories of my time spent in Chestertown, MD. The repertoire that I played was challenging, fun, and gave me a lot of valuable orchestral experience. My host family was beyond amazing. All of my experiences on and off of the stage during NMF were unforgettable. I hope to return soon! After this past summer at NMF, I was fortunate enough to work as a violin work study for the Usdan: Summer Camp for the Arts on Long Island. I am currently finishing the fall semester of my junior year at SUNY Fredonia, studying violin performance with NMF mentor Maureen Yuen. I am preparing for my junior recital next semester and am auditioning to summer programs for both violin and conducting. This current semester I played in a masterclass with Dennis Kim, concertmaster of the Buffalo Philharmonic and am presently secretary of both the American String Teacher's Association and Fredonia Musicology Society. I plan to come back to NMF in 2017 to partake in even more music making with wonderful colleagues and friends. Finishing my masters in bassoon performance at Ball State University with Dr. Keith Sweger. After reluctantly leaving the 2016 Festival in Chestertown, Mackenzie served as a violin faculty member and orchestra librarian at the Crane Youth Music summer program in Potsdam, New York. Beginning in the fall, she started her student teaching journey. She currently teaches everything fromÂ elementary general music to high school orchestra. In the spring she plans to finish her degree in music education and violin performance. She will apply to get her masters in violin performance somewhere in Germany, where she will be next October. She's not sure if she will make it back to the festival this year, but her time spent in Chestertown will always occupy a special place in her heart! I recently finished my Master's degree in Clarinet Performance at the University of Delaware. Â I was offered to stay a third year and complete a Master's degree in Composition, which I accepted. Â As the graduate teaching assistant in the theory department, I teach the music theory fundamentals course to freshmen and music minors. Â In addition to my duties in the theory department, I am active in UD ensembles, performing with the UD Wind Ensemble, UD Symphony Orchestra, and UD Chamber Orchestra. Â I have also continued to audition for military bands and orchestras. I recently finished my biggest composition project, a four-movement symphony for wind ensemble. Â The symphony will be premiered in early February. Â My next project is a collaboration with a friend of mine, who has commissioned me to write a song cycle in Arabic. I am in my first year of graduate school at the Boston Conservatory at Berklee. Liam Jackson is in his fourth of five years studying at the University of Michigan School of Music, Theater, and Dance. He studies Bassoon Performance and Music Education, and plans to pursue a Master's degree in performance after graduating in 2018. This Summer, after attending NMF, Liam began an internship as a staff assistant with the Michigan Marching Band, in addition to accepting a job teaching the Bassoon Studio at North Farmington High School. Music Director at the Naval Academy Primary School in Annapolis, Maryland. Pursuing a Master of Education in Music & Music Education at Columbia University. Education consultant for Historic Annapolis Society. Middle School Strings Coach at Magothy Middle School in Arnold, MD. Maintains an active private violin studio and freelancing career. I am currently a senior at Vanderbilt University pursuing a Bachelor's of Music in Violin Performance with a Concentration in Music History and Literature at the Blair School of Music, where I am also the orchestra librarian of the Vanderbilt Symphony Orchestra. I am also in the midst of applying to and auditioning at Texas Christian University and Florida State University to pursue a Master's of Music in Violin Performance in the fall. I look forward to attending the National Music Festival again this next summer after I graduate in May. I am finishing my final year as a Master's student in viola performance at the University of Delaware, studying with Sheila Browne. I am Sheila Browne's Teaching Assistant for the University of Delaware String Methods class. At University of Delaware, I am also working on a pedagogical article dealing with the inclusion of music theory into the private lesson setting. I sometimes return to play with my undergraduate institution's orchestra at The Catholic University of America as an alumna; in 2015 I returned to play for Pope Francis with the Catholic University Symphony Orchestra. I also currently study music composition with Dr. Jennifer Margaret Barker at University of Delaware. I recently had the first movement of my String Quartet (2016) premiered by the University of Delaware Graduate String Quartet. In December of 2016, I will give my Master's degree recital, as well as play in a master class for renowned violist and President and CEO of the Curtis Institute of Music, Roberto Diaz. After graduation in the spring of 2017, I hope to enter a second Master's program in music composition. A career goal of mine is to synthesize the fields of performance and composition as much as possible with the creation of a contemporary music ensemble. Since completing my second summer at National Music Festival I performed my Master's Recital at the University of Maryland on October 2nd, 2016. Currently I am an adjunct instructor of clarinet at the Jim Henson Visual and Performing Arts at Northwestern High School in Hyattsville, Maryland. Future plans include preparation for upcoming auditions with the Air Force and Navy Premier Bands. After finishing up my bachelors and performance diploma at Indiana University, I'm currently working on a masters degree at Northwestern University while also being a member of the Chicago Civic Orchestra. Kristen has been very busy teaching part-time at several schools in Connecticut. Â Additionally, she performed in Clarinetfest's Young Artist Competition in August, co-organized Hartt Clarinet Day, and performed two solo recitals. She will be student teaching next semester and looks forward to graduating with a degree in performance and music education. I am currently wrapping up the fall semester with final exams and applications to graduate programs! Â This semester I performed my senior recital and got to compete in a regional competition in which I was fortunate enough to win the first prize. Â I'm looking forward to taking a little time off over winter break to rest before getting ready for my graduate auditions starting at the end of January 2017! I am just down the road from Chestertown in my final year at the University of Maryland, College Park, completing a B.M. in trumpet performance. During my 4 years at Maryland, I have performed with the Symphony Orchestra, Wind Orchestra, Wind Ensemble, Repertoire Orchestra, Jazz Ensemble, and many chamber groups. This year, I performed principal trumpet on Debussy's "La Mer" with the symphony orchestra. I currently study with Chris Gekker. Off campus, I maintain an active freelancing schedule. I regularly perform with the Peacherine Ragtime Society Orchestra (which included a gig to St. Augustine, FL in October! ), as well as in many other settings. Beyond playing, I maintain a private studio. I hope to return to Chestertown again this June. Until then, just remember...Go Terps! I am currently finishing up my masters degree at Peabody Conservatory while also teaching and performing in NYC. I recently played at Carnegie Hall and will be performing a solo in Avery Fisher later this month. I teach at New York University as an adjunct instructor, at a couple after school programs, and within my own studio. I am also finishing up the organizational stage of my first CD which I hope to drop by fall 2017. My CD features the music of woman composers who I have commissioned. I'm currently in my senior year of my undergraduate degree at Brigham Young University and preparing for graduate auditions. I had the opportunity to participate in NMF earlier this year and it was a great experience. I got to meet great people and work under great mentors. We had a lot of performance opportunities and I enjoyed it very much. I am currently applying to music schools for my BM degree and preparing for the auditions next month. I am playing in two local orchestras and have recently given several solo and chamber music concerts to benefit various charities. This semester, I have been taking academic classes at Montgomery College in MD in order to get some general education classes out of the way. I am looking forward to college auditions and can't wait to see where I end up come next fall. I had such a great time at the National Music Festival. It was well organized, had a friendly yet serious atmosphere, and my mentor was absolutely top-notch. I learned a huge amount during my apprenticeship. I also made friends with some great people who also do what I do. Shortly after NMF, I earned a new job! I am currently working as a sound designer and post production audio mixer at a studio called Defacto Sound, in Silver Spring, MD. I am currently in my third year of my undergraduate career of my performance degree at Florida State University. I am preparing for my junior recital in the spring, and I am planning to return to National Music Festival again this coming summer. As of this December, I've completed the first semester of my two-year Master's program! I am attending the Ohio University School of Music in Athens, OH pursuing a master's degree in percussion performance. I have performed with the OU Symphony Orchestra as principal timpanist, which included performances of the Mozart Requiem and Stravinsky's Petrushka. I also performed with the OU Wind Symphony, Percussion Ensemble, New Music Ensemble, and Jazz Percussion Ensemble. In the spring, I look forward to travelling to New York City with the Wind Symphony where we will perform at Carnegie Hall, in celebration of the OU School of Music's 100th anniversary! We will performing exciting new works by Robert Moran and Mark Phillips, and our professor will perform as a soloist on Joseph Schwantner's Percussion Concerto. I am also excited to play in a newly formed Graduate Percussion Ensemble; our goal is to put together a concert of challenging and exciting chamber repertoire for percussion! I look forward to returning to National Music Festival for another exciting season in June 2017! In the fall of 2015, I started my master's degree in Music Performance (Clarinet) with a double major in Chamber Music Performance and the University of Michigan in Ann Arbor. Moving to Michigan from Florida has definitely been a change of pace (and weather!) but I am thoroughly enjoying the atmosphere of the midwest. At the University, I perform with the Symphony Band under the direction of Michael Haithcock. Getting the opportunity to play in this ensemble has been very rewarding, as I am regularly working with some of the best musicians at the school. We also are fortunate to perform in the beautiful Hill Auditorium in downtown Ann Arbor. I also participate in an abundance of chamber music performances at the university and in the greater Detroit area. In January, I was invited to perform in the wind section of the West Michigan Symphony located in Muskegon. This was a wonderful experience because I got to play with my former professor from Florida State University, Jonathan Holden, who is the symphony's Principal Clarinetist. The symphony performs in the Frauenthal Center for the Performing Arts. In Ann Arbor, I currently work for the University Musical Society which is an organization that facilitates musical, theatre, and dance/visual performances in the various performance halls throughout the city. I'm an employee in the ticket office and thus I work with customers so that they can purchase tickets to different performances throughout the year. In the 2015-16 season, UMS has hosted the New York Philharmonic, Chicago Symphony Orchestra, Royal Philharmonic, Jazz at Lincoln Center with Wynton Marsalis, Andras Schiff, Danish String Quartet, Audra Â McDonald, Misty Copeland, and more. Aside from school and work, I have recently gotten involved in yoga practice and regular gym activity. I made it my goal this year to get in better physical health and so far it has felt great! This summer I have been accepted to the Miami Summer Music Festival during the month of July. I am currently a Junior at the Florida State University, studying Music and Pre-Medical Studies. I play in the Florida State Wind Orchestra, as well as several chamber ensembles. Other than that nothing exciting has happened (busy school life). I will be graduating from Louisiana State University this month with a bachelor's in piano performance. I will be heading to University of Houston in the fall for a Master's in piano performance, where I will study with Dr. Tali Morgulis. Kaylene Diaz is currently in the second year of her DMA at the University of Nebraska. She recently won a position with Lincoln's Symphony Orchestra as second horn. Currently, I am finishing my Master's Degree at the University of Delaware, where I am currently playing principal clarinet in the UD Symphony Orchestra and bass clarinet in the UD Wind Ensemble. Â I'm also auditioning at various orchestras and military bands. I hope to be back at NMF this summer! I am currently working as a music librarian for Theatrical Rights Worldwide and The Knights NYC. I am pursuing a Master's degree in Library Science, and play viola with the South Shore Symphony. I am currently teaching private cello lessons, performing as a section cellist of the Clear Lake Symphony. Â This year I joined a Harp, Flute, Cello trio that will perform throughout the Houston area. 2. Performed with the Tuscaloosa Symphony Orchestra during their annual 4th of July Celebration and their annual Christmas Concert in Tuscaloosa, Alabama. 3. Attended the Alessi Seminar in Eugene, Oregon. 4. I was selected to perform a solo during the University of Alabama Trombone Studio's fall concert. 5. I have had many opportunities to perform gigs in and around the Birmingham area. 6. I was selected as one of 3 finalist for the 2016 American Trombone Workshop Bass Trombone Division #2 competition. I graduated from Boston University in May 2015 and am currently living in Memphis, TN, where I teach flute lessons and play with several ensembles in the area. I play with new music ensembles PRIZM and Luna Nova, as well as with the Memphis Repertory Orchestra and sub with the Memphis Symphony Orchestra. In addition to teaching and performing, I'm currently organizing a new music concert series in Memphis and taking orchestral auditions. I am currently a Junior at the University of Alabama studying with Jenny GrÃ©goire, and I am a member of the Huxford Symphony Orchestra. We are currently working on Mahler 1, and I cannot help but be reminded of the National Music Festival and the great opportunity I've been given to perform not only 2 Mahler symphonies, but many other incredible works in the past 3 years I have attended. It has been an honor to work with NMF's amazing faculty and guest conductors, including the late Gilbert Kaplan in 2013. The night he conducted us is a performance I will never forget. I have many fond memories from my 3 summers in Chestertown and I hope to return soon, not only for the spectacular music, but to visit the wonderful people (including my fabulous hostess) who live there. The residents' great appreciate for music is overwhelming and knowing how much they enjoy NMF's concerts makes performing a very rewarding experience. Following The National Music Festival 2015, I moved from Tallahassee, Florida to Austin, Texas to start my MM in Bassoon Performance at the University of Texas. Â My first semester here at UT was challenging, but so incredibly rewarding. Â In addition to the standard coursework for the Masters degree, I've been admitted into the Portfolio Program for Arts and Cultural Management, a certification program in Arts Administration, and have begun coursework in this exciting area. Â I've played countless performances with many ensembles within UT's Butler School of Music, and some outside of the school too. Â I've also developed my own small bassoon studio, where I give (mostly) weekly lessons to 13 middle and high school bassoonists in the Austin area. Â And of course, I've grown immeasurably as a bassoonist and musician. Â Spring semester just began, and I'm eagerly excited for what's to come. I am currently in my third year of an undergraduate music performance degree at Texas Tech, and also playing as assistant horn in the local symphony. Currently, I am still coaching gymnastics while studying with Rachel Niketopolous and Chris Caudill of the NC Symphony. I am in the process of auditioning for graduate schools (one down, three to go!) and hope to be able to attend one of them in the fall. I am a part time lecturer at the Universitas Pelita Harapan (a private university in Tangerang, Indonesia), teaching cello, chamber music, and assisting the orchestra, and I also teach cello lessons in the city. Currently I am preparing to graduate from Henderson State University in May! This month, I participated in the Regional MTNA and received an honorable mention. My participation in this competition was sparked by my amazing experience at The National Music Festival and The Mana Saxophone Institute! Being part of this experience, I learned to push myself even more than I initially thought possible. Meeting so many musician from around the country and beyond, who had a similar drive to make music, made me happy beyond measure. During the festival I was prompted by one of the saxophone mentors, Michael Hernandez, to revisit a romantic piece I already knew so that I could apply some of those similar idioms to a new one. This resulted in my revisiting of the Glazunov saxophone concerto; which lead to competing in the state MTNA competition. Thanks to my experience at the festival, I feel renewed in my musical push. In March I will be putting on a multiple woodwinds recital and proceed to various graduate school auditions! Thank you to NMF and MSI for all the amazing opportunities you offered!!! I am finishing my master's degree in Harp Performance at Indiana University Bloomington's Jacobs School of Music this May. I am currently preparing for my master's recital which I will be playing in February. This semester I was honored to be accepted into Youth Orchestra of the Americas's Global Leaders Program, from which I will be receiving certificates in Teaching Artistry, Orchestral Leadership, and Social Entrepreneurship at the end of the program in April 2016. As a part of this program I will be going on a Â week-long mission trip to teach and perform somewhere in the Americas. Other good news this past semester include being invited to the live audition for the New Japan Philharmonic in September and making it past the prescreening audition for the United States Air Force Concert Band. Last month I graduated from my Performer's Certificate at Montclair State University. I performed my degree solo recital at John Cali School of Music as well as solo recitals in many venues in New Jersey. I worked as the pianist of Montclair State University Symphony Orchestra in three concerts, the last one performed at Stern Auditorium/Carnegie Hall. Now I am back in Brazil performing and getting ready to take my Master's Degree in US next fall. I am currently singing with the Chicago Symphony Chorus, and teaching voice at Northwestern University and the Chicago College of Performing Arts and Roosevelt University. Just finished my senior recital (see recording link) in November, and applying to grad schools! I am currently completing two Bachelor's degrees in Music Education and Music Performance through Missouri Western State University. I am in my final semester and I am currently student teaching at a local middle and high school. I plan on auditioning for a Master's degree in music performance next month. I am very excited to get to return to the National Music Festival this summer! I am currently a freshman at Temple University. I am working to complete my undergraduate degree with NMF mentor Maureen Yuen at Fredonia State University of New York. I am studying to become a music educator and I was recently accepted into the performance program! In addition, I was elected as Vice-President of Fredonia's Collegiate Chapter of the American String Teachers Association (ASTA) and worked with the faculty to help host our annual "String Experience", a recruitment event for prospective students, with special guests the Shanghai Quartet and Roberta Guaspari. On top of all of the masterclasses and workshops, I spent my semester preparing for my first recital, which was incredibly exciting and rewarding! This year has been a great year for my developing career and NMF was the kick off to a truly wonderful semester of hard work and practice. I hope to be back this summer in beautiful Chestertown! It was an experience like no other. I currently am studying at the Cleveland Institute of Music pursuing a Masters in Bassoon Performance. I am currently studying with John Clouser, principal Bassoonist of the Cleveland Orchestra. In the last four months, I have won positions with the Ann Arbor Symphony, Firelands Symphony, and the Lansing Symphony as well as playing gigs with the Youngstown Symphony and the International Symphony. Aside from my involvement in various orchestras, I currently work for recording services at CIM as well as performing a number of community outreach concerts. I currently teach 4th and 5th grade strings at Ridgewood and Creekside Elementary Schools in Pitt County, NC. I am attending Stony Brook University for a Master's in Double Bass Performance. Aside from being a student, I am teaching private lessons on double bass and performing in The New Inlet Chamber Orchestra. I'm currently finishing up my last semester at the University of Kentucky and planning for my graduation in May, which is very exciting! I'm nervous about going into the real world and finding a job but I believe it will all work out. Being an Arts Administration intern at NMF was one of the best decisions I've made in my life! Before arriving I thought I was dead set on getting a job in the for profit sector and during my trip my eyes were opened up to so many different areas it was unbelievable. During the festival I began to love the environment and everything I was doing there. From the moment I got into Chestertown I was welcomed with open arms and the staff is amazing!! There aren't many places I know of where I can work with amazing people, have a blast doing it while seeing musicians make wonderful music together, and have a pool party and ride horses all in one experience. Being in Chestertown for NMF is a magical experience and the local community is gorgeous! After my experience there I would absolutely take a job with NMF or anything like it in a heartbeat because that month I was there changed my life and vision completely. If you are considering being a part of NMF whether you are a musician or looking at doing an apprenticeship I highly recommend doing it! Don't think about it twice just apply and if you get accepted congratulations because you're going to have the best two weeks of your life! I really enjoyed my experience at NMF last summer! Â I loved having the opportunity to perform in multiple concerts throughout the festival, and also to engage with young musicians of all levels of education. Â I am currently in my junior year at Belmont University, studying Violin Performance. Â I teach violin lessons at Nashville Music Academy, am involved in the Belmont Symphony Orchestra, the classical ensemble Belmont Strings, string quartets, and perform fiddle music regularly around Nashville. Â This year, I had the opportunity to perform in "Christmas at Belmont", a nationally televised program. Â Also, I was honored to be a winner of Belmont's annual Instrumental Honors Recital this year. Â I am excited for what the next year holds, and hope National Music Festival is apart of it! After completing a bachelors degree for music education from SUNY Fredonia, I'm currently substitute teaching in 5 school districts. In my free time I'm involved in local orchestral groups like the Woodstock Chamber Orchestra and the Northern Dutchess Symphony Orchestra. I also teach private lessons to cellists within Dutchess County. I am currently in my third semester of my Masters program in percussion performance at Lee University in Cleveland, TN. NMF really helped me discover the joy of play timpani in an orchestral setting. Having the opportunity to play timpani during Mahler 3 is one of the most memorable things of my musical career so far. I also met some great musicians that I am honored to be able to call my friends! I loved Chestertown and all of its wonderful people. Everyone was so welcoming and I really enjoyed performing for such a gracious audience. I can't wait to come back for the next season! Currently, I am working on completing a degree in Music Education with a Performance Certificate in Violin. As a Music Education student at the University of Texas at San Antonio (UTSA), I am actively involved in both performance and teaching in my community. This past school year, I served as Concertmaster of the UTSA Symphony Orchestra as well as a teacher in the UTSA String Project. String Project, a nationally renowned string education program, allows university students to learn about the art of Music Education while teaching public school age students in a classroom setting. Aside from my responsibilities as a student at UTSA, I have enjoyed time performing in a handful of beautiful venues in the San Antonio area as a freelance musician. During the Â fall semester, I had the pleasure of recording a CD for a pop artist with my string quartet, performing with Stevie Wonder at the AT&T Center, and playing with musicians of the San Antonio Symphony. The National Music Festival has definitely impacted my development as both a musician and a person by providing me with the opportunity to play challenging repertoire with talented musicians and mentors. It has helped me focus and identify the skills that I need to further my development as a violinist and future educator. I am extremely thankful for the wonderful experience that I had at NMF in June 2015! In less than a week I will return to Towson University for my last semester of my undergraduate studies in Music Education. What is special about this last semester is that I will be student teaching. The first seven weeks of the semester I will be teaching at an elementary school and the last seven weeks of the semester I will be teaching at a middle school. I will graduate from Towson University as well as the Honors College in May. This summer I will apply for a public school music teaching job in several counties in Maryland. I also plan on returning to NMF this summer because I had such a wonderful experience last year. My hope is to get a job teaching middle school instrumental music in Montgomery County. Dear NMF friends! I hope all of you have a great new year so far! For me, a lot things happened after NMF last summer. I dedicated the Fall semester working on my dissertation which examines the importance of "Manual de Vioara", a violin method written by the Romanian pedagogues Ionel Geanta and George Manoliu. While still in school, I was also able to teach and perform with different orchestras around the Florida panhandle. In addition, I graduated from Florida State University with a Doctoral Degree in Music Performance, got married, and I am in the process of moving to South Carolina, as my husband is a guitar professor at Furman University. NMF was an amazing experience for me! I have learned so much and I have met so many wonderful people. I still think about the Mahler concert from time to time and how fulfilling that experience was for me! Moreover, Chestertown was a great location for the festival. Warmhearted people everywhere and amazing shops! Thank you for having me and I hope to see you in the future! I am currently on my second year of undergraduate studies in Music education and Violin performance at SUNY Fredonia, studying with NMF mentor Maureen Yuen. Within the past 6 months, I interned at a youth music summer camp, co-teaching the violin class and received a masterclass from the Shanghai Quartet. Since the summer I've been splitting my time between Michigan, New York, and Ohio. In August 2015 I gave a series of small solo recitals for local chapters of the American Harp Society in Upstate New York. I then worked as harpist-in-residence at The Grand Hotel on Michigan's Mackinac Island during September and October. The holidays brought several Christmas gigs with regional Ohio orchestras and a New Years Eve recital of solo and chamber repertoire in my hometown of Delhi, NY. This month, I'm headed to Cleveland for a performance of John Luther Adams' "In the White Silence" with the recently formed string ensemble, Earth and Air. I'm also busy preparing repertoire for DMA auditions at the University of Michigan and Stony Brook University. I'm not sure what the rest of the year will bring, but am looking forward to lots of possibilities! I am currently in my first year working on a Master of Music Degree at the Yale School of Music. This summer I'll be a guest soloist with the Hagerstown Municipal Band in Hagerstown, MD. I loved my time in Chestertown with the National Music Festival, and I gained a lot from the experience. I gained valuable orchestral and chamber experience, and had the opportunity to play some fantastic repertoire. Aside from the musical experiences, I loved my host family and had a great time in Chestertown! I'll be graduating from UW Madison in May with my master's degree. Â I'm currently taking auditions and keeping an eye out for college jobs. I am a senior at Valdosta State University and currently I am applying to grad school.One of the schools I am applying to is Texas Tech, where Dr. Kim Sparr teaches at. I had a really good time last summer working with Dr. Sparr at NMF and I am exited to possibility of studying with Dr. Sparr at Texas Tech! Finishing out my last semester at Oberlin. I wish to begin teaching private lessons to young students this summer. I'm currently in my third year here at The University of Michigan School of Music working on an undergraduate degree in viola performance and music education. I just recently became the president of The University of Michigan student chapter of ASTA (American String Teachers Association) and only have one semester left before I start student teaching. I had the privilege of playing in a masterclass for the Principal Violist of the Chicago Symphony Orchestra, Charlie Pickler, last semester and took part in the masterclasses associated with the New York Philharmonic's residency here at the music school. Last semester, my quartet was able to perform a recently published string quartet by Kenji Bunch in a school chamber recital. Besides chamber performances, I'm also enjoying playing with the Adrian Symphony Orchestra and Midland Symphony Orchestra here in Michigan as a section sub. Attached is a picture of my string quartet from last semester performing String Quartet No. 2 Concussion Theory by Kenji Bunch. I am finishing my last semester at Belmont University, and will graduate in May with a Bachelors in Violin Performance with a Business Administration minor. Â My senior recital is in April and I look forward to sharing my hard work with peers, family members, and friends. I'll be finishing up my Masters degree at the Yale School of Music this spring. I am pursuing my Master's degree at Peabody conservatory. Have had my pedagogy research be used as a resource to train double bass teachers across the country. I am also having my bass arrangements be requested from all over the country as well. I have recently coached the bass/low string sections for Baltimore Symphony Youth Orchestras, Potomac Valley Youth Orchestra, and El Sistema Seminario Orchestra. I now have a regular summer faculty position for the American Music System programs in Charleston, SC playing and teaching bass, cello, and violin. I also am on faculty for Peabody Bass Works and Carroll Community College. I have been subbing for groups around the area as well: Apollo Chamber Orchestra, York Symphony, and Opera Camerata of Washington. Since NMF in Summer of 2015, I have a had a busy (final!) semester at Towson University. I spent the fall semester conducting research on a record collection that belonged to Dennis Kain, the late timpanist of the Baltimore Symphony Orchestra. When Dennis passed away in 2012, his wife donated his collection to the Department of Music at Towson. We estimate there are at least 10,000 records in the collection, but we were asked to keep the records in the same order he kept them in. My research has involved cataloging the records and creating a searchable online database for the collection. It can currently be accessed at denniskainrecordcollection.weebly.com. Additionally, I spent the semester preparing for my senior recital! It was on November 7th, 2015 and went very well! I've included a link to my final piece on the program: White Knuckle Stroll by Casey Cangelosi. With the completion of those two large undertakings, I graduated with a Bachelor's degree in Music Performance in December! I am currently applying for Master's programs and practicing for auditions... I hope to return to NMF in the summer! Currently studying my Masters in Music Performance Degree at Northwestern University with Gail Williams and Jonathon Boen. My experiences at NMF are among the most fulfilling musical experiences I've ever had. Â Being in Chestertown in the summers was nothing short of a vacation. Â Experiencing the festival with my closest friends and being able to play great music with them, for me, epitomizes why I do what I do. Â NMF was more than just a music festival for me, and I believe it is because of the people. Â The people of Chestertown were beyond welcoming, my host family became my family away from home, all the people who make NMF happen were amazing to work with, and my dear colleagues became the connections I will have with me through out my career. Â I am so thankful to have be given the opportunity to participate in NMF. Â My summers spent in Chestertown are ones I will never forget. I am currently attending the Manhattan School of Music pursing my Masters of Music in Orchestral Performance. Â I'm also starting to take professional orchestral auditions, and launched my professional website: matthewjmitchener.com. Â In New York, I've started teaching private lessons and group lessons at two middle schools through MSM outreach program. Â Additionally, I co-wrote an "introduction to the percussion family" show for New York public schools that do not have strong music programs. Â We've had three performances of this show, and are expecting more this Spring! -My teacher is now Leah Arsenault of the NSO in DC. Hello NMF! Last summer at NMF was a blast! In the last six months, I went through the stressful but ever-so-satisfying process of preparing and performing my Graduate Recital at the University of Houston, where I am pursuing my masters degree. I have comps to look forward to this semester, as I am finishing up with my degree. Best of luck to all of the NMF members out there! I am attending my first year of college at Glendale Community College in Glendale, Arizona. This coming semester, I will be hosting a recital on the history of music on the saxophone! I am currently still teaching private violin lessons. I teach about 30 students weekly. I help run an organization called Suzuki Niagara, for students who wish to learn via the Suzuki Method. Myself and three other teachers from our organization have recently formed the Suzuki Niagara String Quartet in which I play Violin II. I'm also expecting, with my baby due on April 24th! This past year has been an awesome year for my violin teaching and performing career. Â I have continued my studies in violin and other musical interests, along with greatly increased my number of new violin students! Â Playing with symphonies are some of the highlights of my months. Â The National Music Festival was one of the prime times of my year! Â I enjoyed greatly expanding my repertoire and also broadening my knowledge about many aspects of music from experts in our craft. Â I came home inspired by my mentors and fellow apprentices and wanting to practice more than ever! I am currently a masters student at University of Delaware majoring in viola performance. I received full scholarship and assistantship. I teach two sections of group piano for the Community Music School part of UD, I work for the recital attendance class and I am also the viola professor's assistant. Along with being viola principal in the UD Symphony Orchestra and the UD Chamber Orchestra, I am also part of two jazz chamber ensembles and a vocal jazz quintet, UD Jazz Singers. During the holidays, I am playing the Nutcracker ballet with the BTT Orchestra in Toledo every November, and concerts with the Lima Symphony Orchestra and Michigan Philharmonic. I'm preparing to take my General Exams and to give my last doctoral recital this Spring. It is the first time in quite a while that I'm not accompanying anybody and it feels really nice to take things at a slower pace. The National Music Festival was a valuable experience for me, in terms of both musicianship and personal growth. I am currently playing in the University of Toronto's Hart House Orchestra, and I feel that the insights I gained from the mentors and the other musicians at NMF continue to strengthen my playing. It was wonderful being a part of the NMF orchestra and various ensembles, especially because the sheer musical power of the assemblage compelled me to regard music and playing my violin in a different light. The location was also impeccable: Chestertown and Rock Hall were picturesque, quaint old towns that provided all the graceful beauty I could have wanted. It was also very lovely spending two weeks with my wonderful hosts, Anne and Jim, who gave me a lot of support for my music, and countless moments of fun. Moreover, on a more personal note, at NMF, I had to learn to acquire real independence, which, coming from high school, was never quite a necessity. High school trips had always everything planned out for me by my teachers, and at NMF, I had to learn to lead myself instead of having them lead for me. Although this part of the learning was rough, looking back, I absolutely appreciate what it did, and find that it amply prepared me for all the demands of university life. I truly would love to come back to NMF this year! This summer, however, I have obligations at the University of Toronto, and thus must stay in the city, during which I will be working and taking courses. My best wishes to the lucky musicians who can make it to NMF in June! Recently accepted a position with Sweetwater Sound as a Sales Engineer. Continuing freelance work as a recording engineer. I'm currently finishing up degrees in viola performance and music education at State University of New York at Fredonia. I'll be graduating in December 2016 and searching for teaching jobs post-graduation. Having graduated from NEC last spring, I'm currently freelancing in the Boston area. This past fall, I had the opportunity to perform with many different orchestras, including the Boston Symphony, Boston Philharmonic, and Atlantic Symphony. I'm also a new fellow with Symphony Nova, performing as their clarinetist and helping design and produce each concert. Between rehearsals and performances (and plenty of video games...), I have spent time teaching in several public schools in the area. The National Music Festival gave me the opportunity to play incredible repertoire that would not have been possible at the small music school I attend. It was a great experience to work with musicians from so many different areas of the country, and the nightly concerts and rigorous rehearsal schedule reflected the demands of a professional musician. It was an honor to be able to work under the mentorship of Lowell Greer, and his advice helped me with many aspects of my playing. Along with continuing my undergraduate music degree, I am scheduled to play the Gliere Horn Concerto with the East Carolina University Wind Ensemble both in university concert and on tour in North Carolina in April 2016. Since the 2015 National Music Festival, I have been appointed to two teaching positions. I am instructor of oboe at a conservatory for high school and middle school students in Wisconsin, and I was adjunct instructor of oboe at UW-La crosse. I have played with the La crosse symphony, and continued to freelance throughout Wisconsin! Studying music therapy with a focus in saxophone at Mercyhurst University and currently preparing for sophomore review. I will graduate with a B.M. in Flute Performance and Arts Administration (with a minor in Baroque Flute) in May 2016. I'm currently in the process of auditioning to graduate schools. Not much going on right now, but hope to have more to share in another 6 months! Thank you, Caitlin and Michael, for the opportunities last summer. I am currently in the process of applying for a MM in music performance with several assistantship opportunities. During the fall of 2015, I completed my student teaching requirement for my undergraduate degree. This year has seen a large growth in my teaching studio as well as many concerts with four area symphonies. Â I also graduated in December with a degree in education. Â My experience at NMF was a great time of making new and lasting friends in the music world as well as learning and performing new repertoire! The NMF experience is one that I would recommend to any musician and one that I hope to participate in again! I graduated from the University of Illinois in December of 2015 with degrees in Music Education and Cello Performance. At the beginning of January, I started a long-term substitute teacher position in St. Charles, Illinois, where I am teaching 3rd, 4th, and 5th grade string students. I am currently entering my last semester of the Masters of Music degree at The University of Akron in Ohio. I am also considering adding the Arts Administration degree and staying an additional year at Akron. On a more personal note, I took and passed my Commercial Glider Pilot license in August, 2015. Working on my PhD mainly, about covering arrays and network reliability. Attending graduate school at the Shepherd School of Music at Rice University. I am currently working on the student teaching portion of my Music Education Degree at James Madison University, and recently added a Mathematics Minor and will be attending for a fifth year next year to complete this. Â While participating in the variety of instrumental ensembles at my school, this past semester I joined the Madison Singers who had the privilege of singing with Josh Groban in Philadelphia, PA and Washington D.C. Â During my fifth year I am joining a vocal studio and will pursue more serious vocal studies alongside my work with horn. Working towards my Master's degree at Rice University.